There is only one decision that really matters about future nuclear reactor building in Britain and that has not yet been taken. From the amount of media hoopla surrounding the announcement on Hinkley C you could be forgiven for thinking something monumental had occurred. In fact, if we did not live in the perpetual present of the 24/7 news cycle, you might remember that this was the third or fourth time ( I forget which myself ) this same ‘deal’ has been announced as preventing us from freezing in the dark. That decision is EDF’s decision to order the major components for the reactors at Hinkley. This is called the final investment decision. It is the point at which the contracts for some hugely expensive pieces of kit will be signed. After this point the cost of not going ahead becomes very large. EDF promised us this decision in 2011 and then again at the beginning of this year. Then it was postponed to an unspecified time next year. Until this is done, no deal has actually been made with anyone for anything. All that happened on Monday was simply that the price the British government will make consumers pay for the output from Hinkley C was announced. As far as I can see the combination of Osborne and Davey’s announcements adds up to a lot less than meets the eye. It certainly props up the political narrative that the government is making the economy work. It proclaims that Britain is open for business an now attractive place for inward investors. But it is much less clear what it does for British energy and climate security. Two Chinese companies will take a minority stake in EDF’s proposed nuclear power station at Hinkley point. It is not clear when exactly they will do so. If they are wise, not until after it has been built. At some future point Chinese companies may be allowed to take a majority stake in other nuclear power stations if they are built. Since, under the current levy control cap there is no money even to build the second EDF station at Sizewell let alone any future Chinese stations this may not amount to much of a promise. EDF have already announced that they do not expect the civil engineering work to begin at Hinkley before the middle of 2015. This is because they are very unlikely to make their final investment decision until after the British government has received state aids clearance for the subsidies for Hinkley C. Getting this clearance could take some time. It has already become clear that there will only be limited scope for British companies to supply the high value components for Hinkley The GMB are already fretting about this. Of the 90 contract to be let, only 2 are for marine and civil engineering works which could well go to British companies. The other 88 are for manufacturing and erection for which few British companies are nuclear qualified. The Prime Minister proudly boasted that this would create 25,000 jobs. He forgot to mention that only 900 of them will be permanent and that most of the high value jobs will be abroad. He also forgot to mention that the cost per job is over £600,000. This compares rather badly with the 320,000 jobs that could be created spending the same amount on really delivering energy efficiency improvements for British energy consumers. The £92/MWh price announced by Ed Davey is about double the current wholesale price of electricity. The wholesale price is the main component of energy bills. In order to set that price Davey has had to guess the wholesale price of electricity in 2058 since the contract with EDF will last until then. This is courageous. It means that if wholesale prices fall, British consumers will lose out substantially. Wholesale prices for electricity in Germany have fallen about 30% in the past 12 months. In summary this, not quite a deal yet, does nothing to reduce energy bills now, will not help to keep the lights on this winter and offers few high-value jobs for Britons. It is another disgraceful example of profit being privatised and risk being socialised. If Hinkley C does actually go ahead it will be one of the most expensive political face saving crusades ever. The likelihood that any further nuclear power stations will be built after Hinkley C is vanishingly small. The investment community is already writing the obituary of utility business models based on large centralised generators of any kind. The cost of capital is much more likely to go up than the wholesale price of electricity. 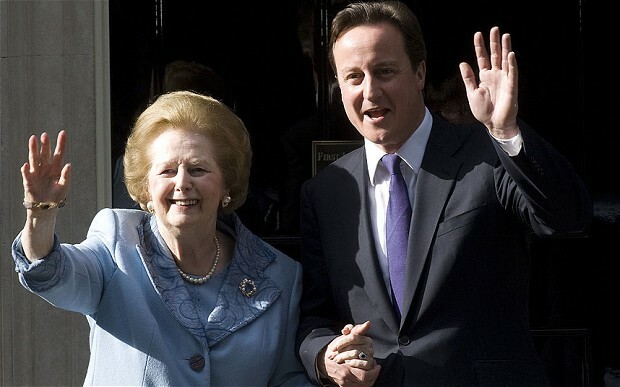 Mrs Thatcher proposed 10GW of nuclear and got 1GW. The Coalition is proposing 16GW and may get 3.2GW which would be double the percentage she managed. A victory of sorts I suppose.